Motorola is rolling out the Android 8.0 Oreo update to the Moto X4 Android One edition as it promised while releasing the smartphone. The update is currently rolling out to the Moto X4 users carrying a build number OPW27.1. The update weighs over 1GB and brings in the latest Android Oreo features and December 2017 security patches. 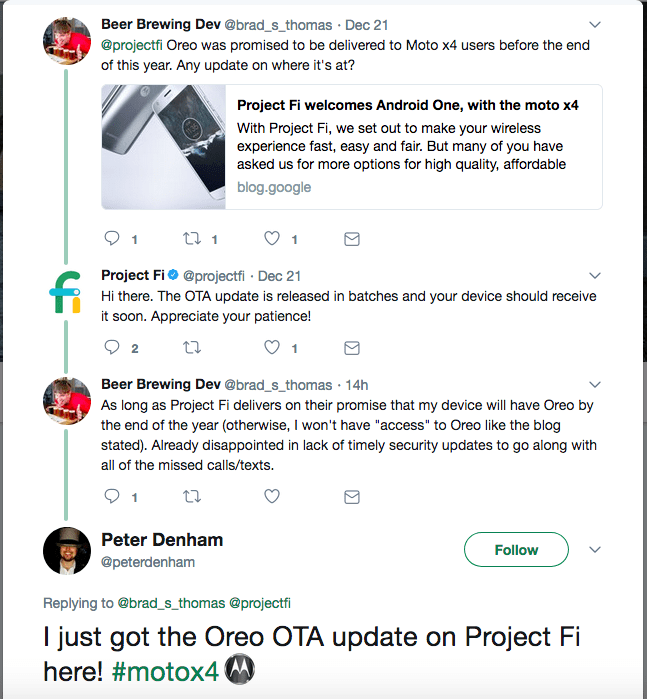 It is rolling out in the form of OTA update and may reach everyone in the next couple of weeks. Being an Android One device, faster software updates is an expected thing, and Motorola made sure that the update is rolled out the smartphone on time. Sadly, the standard Moto X4 isn’t receiving any software update, and there’s no update from Motorola too on when it will release the update to the smartphone. Xiaomi released the first Android One smartphone this year in the form of Xiaomi Mi A1, which is followed by Motorola and HTC with the Moto X4 and HTC U11 Life. 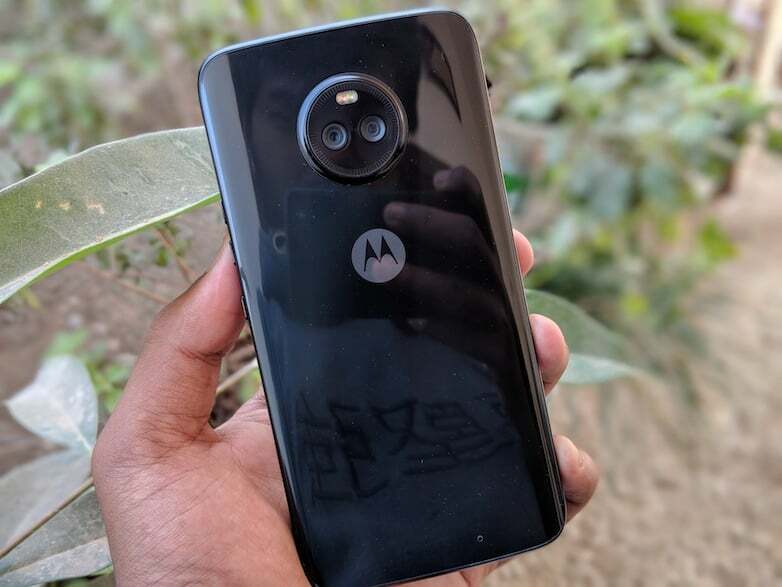 Motorola did not launch the Moto X4 Android One edition in India, instead, it brought the standard edition to the Indian market. Xiaomi is currently testing the Android 8.0 Oreo update on the Mi A1 with a bunch of testers, and the stable update rollout is expected by the end of 2017. The Moto X4 in India is running Android 7.1.1 Nougat with September 2017 security patches installed. It is the first smartphone in India to launch with Snapdragon 630 chipset. The device comes in two variants- one with 3GB of RAM and 32GB of internal storage priced at Rs 20,999, and a premium 4GB of RAM and 64GB of internal storage, which is priced at Rs 22,999. The smartphone can be exclusively purchased on Flipkart, and recently, Motorola made them available at Moto Hubs as well. The Moto X4 is also the cheapest smartphone in India to feature IP68 certification. The device is available in two colour options- Super Black and Sterling Blue. When G5s+ get the update in India?? Can’t wait to get the upgrade on my Moto X4 in India (the non- Android One device).